Rated 5 stars – based on 71 reviews! These guys are fantastic! And I’m not that easy a customer to please.I had three leaks and my water bills were skyrocketing. Gladiator, represented by the very courteous and professional Raul, came in and assessed the situation very quickly. Raul then explained it to me in a way where I instantly understood what was happening.They were on time and did fantastic work. They cleaned up after themselves and left no trace they had ever been there I was sick, lying around like a slug while they were there. They were very respectful to me. They finished quickly and I got a very fair invoice.I HIGHLY recommend Gladiator Rooter and Plumbing. Victor did the sewer lateral for our new (old) home so we called him when we needed some indoor plumbing done. He fixed our most urgent issue on the spot! We are MOST pleased with Gladiator Rooter & Plumbing and specifically Victor! He’s an ACE plumber. 😉 We will use Gladiator Rooter & Plumbing for all our future plumbing needs. Yesterday there was a plumbing emergency at my house while our nanny was there watching my kids. As I could not go without water for a night I needed someone to meet me at my house around 8pm when I got home from work. After calling a few plumbers (based off recommendations from friends) and getting turned down, I called gladiator based off their good reviews and they were able to help me. Martin arrived right on time, was very pleasant and was able to fix the problem quickly. I also thought the price was reasonable. Considering my house is almost 100 years old I’m sure I will be using them again in the future! We had a semi-emergency with a nearly backlogged sewage line.Called Gladiator after calling 3 other highly rated Yelp plumbers. In contrast to the first 3 companies, someone answered the phone at Gladiator, took down my info, and said that she would try to squeeze us in this afternoon. Three hours later, I got a call that they could be at my house in 30 min. I rushed home from work, met their crew, and 50 minutes later, they had both ours and our rear neighbors’ sewer lateral lines cleared from front to back and back to front. Could not ask for anything more from a rooter company. Tech was experienced and knowledgeable. Solved the drain issue without having to go extensively into the wall. Saved me some $$$ on future clogs if they were to happen. Best of it all…they were there before the time they estimated. Will continue to get my business and recommendations. Outstanding service! My elderly aunt lives alone and needed two new toilets. Martin came out and diagnosed the problem, didn’t charge me for the visit and suggested I go online and buy the toilets from Home Depot to save money. He picked them up at Depot and installed them for a very reasonable price. The woman answering the phone was terrific too and helped us through many details. These folks are honest and reliable! 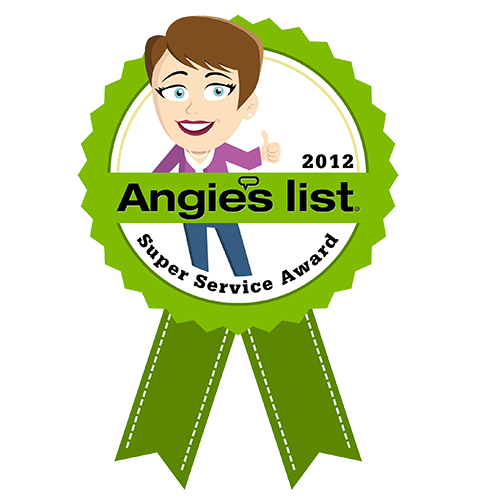 Excellent Service…I would use them again. Finally a plumbing company I can rave about that I can’t wait to get online to give them a 5 stars review!!! Unlike E-Z Plumbing I cant wait to let others know to stay away from.My appt. was today (9/4/14) between 8:30am to 9am. Jennifer called me shortly after 8:30am to let me know they just dispatched a plumber over and he was here within minutes. Oswald was honest with me on whether or not I should fix it for now since the kitchen is gonna get remodeled by the new owner and it’s not a major issue. He didn’t try to scam me like other plumbers by saying i need to fix this or that and just told me the connector was old. I wish I found them earlier, now I know who to call if i have any plumbing issues!! Thanks again Oswald and Gladiator plumbing!Oh yea, stay away from JJ Rooters too. Easy to scedule appointment and tenant said they arrived ontime. Like they didn’t require payment once completed as we’re a property management company and prefer billing. Others require an account to be setup first which they didn’t either. Only wanted billing info. Will for sure use again if needed. I was up in the area taking care of my grandmother when I noticed her toilet was leaking pretty badly. We had a ton of plans for the day and I called rooter rescue to come over to snake the drain… After Several hours of waiting I gave up on them and called Gladiator. I explained that my grandmother had a situation that needed to be handled quickly (she only has one toilet) and they said they would be there within the hour. It only took about twenty minutes for the Plummer to show up. Raul was really friendly, professional and fixed the problem quickly. He was very thorough and I felt like I could trust him. He gave my grandmother a senior discount; and after resealing the toilet and snaking the toilet from the clean-out he charged about $250.00. Thank you! I’ll be writing down your number for my grandmother to use again! I’m very confident in your services! Had a loose and ill-fitting shower valve handle. Guys came right over. Couldn’t repair it so said they’d contact one of the owners, Victor. Next day, he comes, he fixes, he delights!Have used Gladiator twice before for rooter issues, and again, they were total professionals. Very highly recommend. I am not good in english.so this is first time write review.I have small incomeunit.It’s old.has so many different problem everytime l call somebody they gave me hard time.but after know this guys just call .they go there finish job.small or big.They save my life.thank you raul! I called Gladiator today for an emergency repair and Cesar and his guy was at my house in an hour. They used the snake drain machine to remove the blockage in my sewer and they were done in 30 mins. I don’t usually write reviews but these guys deserved one for their A++ service. As you can imagine, a sewer system that starts to back up into our toilets and overflow an 8" shower stall with raw sewage is not a good holiday event. We called 3 plumbers, knowing we would have to pay big for today, and finally heard from Gladiator, that they were on their way. The repair guy was from the Foothill area and polite, professional, fast and made good suggestions to prevent future problems as well as talking about the value of water in this area (i.e, the value of low volume flush toilets. Can’t say enough about this guy and his work. I found Gladiator on yelp and have had them back on a number of occasions. Each and every time, a person has answered the phone – and most importantly, had a professional plumber to my house and working on the problem within 2 hours. Pricing is always fair – and as I’ve come to experience most recently, stand behind the work they do 100%.Just about a month ago, I had Gladiator out to clear an underground cleanout that was backing up. A couple weeks later, same problem – they came out took care of it under warranty and all seemed well for a couple of weeks. Last night, my wife and I arrived home to find sewage flowing out of the same cleanout. I called Gladiator at 7 PM – and was happy to see our friendly plumber before 8. After working on it for more than an hour – he told me that he was unable to clear it, and that he believed that he had made the long run out to the main sewer line. He suggested that I call the city – see if they’ll come out – but just in case, he’d plan to be out first thing in the morning with an extension. As it turned out – the city of Castro Valley amazed me as well – had someone out at the property before 10 – to find that the problem was indeed with the main. Most amazingly, Gladiator Plumbing stayed at the house, advising the city what he had done – and stuck around to make sure that the problem got resolved. Amazing service at any time of day – let alone after 10 PM. Experience was awesome from the start. Phone service and scheduling was courteous. Received regular updates on the plumber’s ETA. Francisco, co-owner of Gladiator Plumbing, advised me of his approach and got right to work. Very knowledgeable and friendly. He was not bothered by my hovering and curiosity/questions. Although the job was more extensive than expected, he got it done in 2 hours and charged a very reasonable price, particularly when compared with another plumbing service who tried to charge 2.5x for "weekend rates"! Gladiator’s reasonable rates are the same everyday! I would definitely use Gladiator again for my plumbing needs. Awesome! Our sewer line blocked up on a Saturday night. I called in to Gladiator late Saturday night — the person who answered was very pleasant — and they had someone out the next day. There was no cleanout access on our sewer line so they ran a line through the stack vent to clean it out temporarily. The next day they came out and put in a cleanout for the quoted price, even though they had to do a lot of digging to find the line. Good people to do business with. We love Haddon. Two years ago they installed our new furnace and last week hey replaced all of our heating ducts. They sub-contracted an asbestos removal company (ERI) as well. We were scheduled to have everything start on a Monday. My daughter got extremely sick on Sunday night and was up all night "being sick." There was no way she could stay home from school with them working around her (she has severe autism and can’t handle even a little bit of noise or new people, so didn’t want her to have to deal with it when sick). 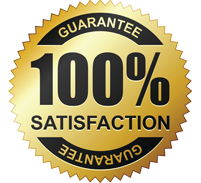 Haddon and their asbestos removal company happily postponed the installation without charging us any extra fees. Everything went as planned starting Tuesday. The actual Haddon guys were here on Wednesday from 8 to 1. They replaced my whole duct system in that time. They were really nice guys, put tarps down, vacuumed when they left, etc. I appreciate that kind of service. On another note, we have a friend who works for a heating company and he said their price was really reasonable. (You can never really know if someone is ripping you off if you don’t know anything about the service…. but our friend confirmed that these guys are not a rip-off)Would use them again and would recommend anyone I know.Thanks! One of the owners (I can’t remember his name) came out in a brand new Chevy van to to fix a backup in the sewer line in the home I’m renting. He had the best price, best service, and was extremely punctual! He cleared the clog via the rooftop cleanout, and made a few recommendations on plumbing items to address down the road. Not trying to upsell, but it was a "make sure to address this/keep an eye on this" conversation.Can’t beat that at all! A+! We live in an old home in San Leandro and found a couple of very poorly connected bathroom sewer drains while doing some trenching — likely the result of an equally poor plumbing repair in the past. I checked Yelp and found Gladiator’s great reviews, and within 45 minutes Oswaldo and Sesar were at my home working. A third Gladiator employee drove a couple of unusual parts over, and the job was complete in barely over an hour. If someone uncovers this repair in 25 years I’m convinced it’ll still be in great shape. Thanks for the excellent response time and work! I enthusiastically recommend Gladiator. This was the second time I’ve called Gladiator for a plumbing drama, and the second time they’ve bailed me out of a big mess. There are some businesses out there that when you find a good one, you keep them – like a car repair shop or a dry cleaner. Gladiator Plumbing is one of those: they come when you need them, do the job right, and you can’t beat the price (both times was less than expected). I asked for (and got) a refrigerator magnet so I don’t have to hunt for the number the next time. A horribly clogged sink led me to call at 7:30 am on Christmas Eve morning after already leaving a message with our "regular" plumber ‘s service. A sleepy voice answered with a simple "hello". I explained my situation and after repeating my address twice was told someone would be here in an hour. I was a little concerned when I had to repeat the address a 3rd time and nearly gave up the line when I saw the regular plumber was returning my call just then. So glad I trusted yelp! In exactly an hour a clean-cut, neatly dressed, polite gentleman arrived. He fixed the clog and even replaced a section of pipe for much less than what we’ve paid the other guy in the past. Very happy with this service, will absolutely use them again. great service today on father’s day!! thanks for being efficient!! We just had our toilet and our bathtub backup. I called Roto Rooter and was not impressed with their price. Then I remember to trust my yelping friends. Within in seconds it was perfectly clear, by the five star ratings, who to call. Gladiator quoted a fair hourly price and said that a plumber was able to come in about an hour. At about 45 minutes later I received a call from Raul, the plumber, to say that he was on his way. He introduced himself and remembered my name the whole time. He was very nicely dressed and clean too so I wasn’t scared to let him walk around my house. He worked hard to solve the problem and even helped to clean up some of the mess. The final price was just for an hour of work…even though he was past the hour. It was an overall wow experience. No doubt that I will use and recommend their services. Gladiator plumbing crew were fantastic!. I can’t praise them enough. Francisco M. and Edgar did a great job replacing my old plumbing and drains in house and garage. My house is 80 years old. They took the time to replace piping without damaging my walls or making an holes in my back splash to get to faucet pipes. Francisco helped to replace a shower head without extra charge. The price as fair and the crew explained each day what would be done. When Francisco found a wire under the house that was sparking and unsafe; he recommended an electrician who came out quickly and fixed the problem. They were professional and courteous. They make sure I had water running at the end of each day. They answered all my questions in simple terms I could understand. They cleaned up at the end of each day. They made the process comfortable for me. I wouldn’t hesitate to call they again for any plumbing issues. I’ve used Gladiator for about a dozen different plumbing projects (for our commercial properties). They do a great job and they’re not outrageously expensive. I’ve also used them at my own house. Very happy with Victor Morales as he cleaned the sewer line roots and showed me on camera that it was clean. The previous plumber didn’t cut the roots and told me that the line was too bad and needs to be replaced! I got home late from work (8:30pm) to find my cat wedged upside-down in the little corner behind the water heater. They came right out, kept talking to her to keep her calm, and took care not to hurt her – and didn’t break the checkbook to do it. If anything else comes up (or the silly critter does this again), I’ll be calling these guys. 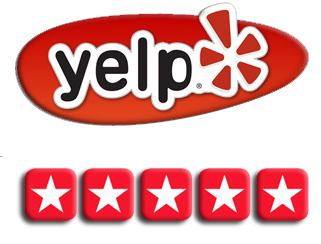 I’ve never written a yelp review before, but this company deserves one! I had a backed up sewer and had a plumber I’ve used in the past come by (after waiting 4 days for him to get back from vacation – major laundry piling up!). He told me he couldn’t fix it (won’t use him again) but I would probably need my entire huge deck removed and a deep trench dug all around my house. He shook his head and told me it would be really, really expensive. I called several other plumbers only to be told they were booked until next week. Now my laundry was REALLY piling up. I got the number for Gladiator Plumbing and they scheduled an appt for the same day. Oswald showed up ON TIME, was knowledgable, courteous, and fixed the problem in less than an hour. No deck removal, no trenches dug up, and only $89.75. I will use them again any time I need a plumber and will recommend them to anyone. Thanks Oswald! I’m dealing with a never ending headache of sewer repair issues in East Bay hills associated with EBMUD PSL, and I found Victor and Gladiator Rooter and Plumbing late in the game – wish I had come across them sooner. Had a great meeting with Victor, was able to finally get to the bottom of the problems at hand and what all the options were to fix them (some of which didn’t involve Victor getting any work / making money yet he was still honest enough to present them to me), and for the work he could do he gave me a very fair price. Will definitely be calling back for additional work. This was part of a tag-team deal. Ygnacio from Oakland Rooter came to my house and did me the awesome favor of unclogging our sewer drain. Knowing that Victor from Gladiator Rooter and Plumbing were working just up the street, he called them in to use a camera to inspect the pipe to the street. He found that there were still some roots in the path, and agreed to come back later to clear them. Imagine my surprise when I find out that Ygnacio and Victor had agreed that I should not be charged for the extra cleaning, saving me $100. This kind of community help and cooperation among our local companies is what makes me proud to live in Oakland. Victor finished up quickly and my drains were back to doing their job in no time. He took the time to show and explain the process, and now I know what the plumbing outside my house looks like. Thank you for your hard work on a Saturday afternoon – and I’ll recommend these guys to anyone who need a plumber in the future. 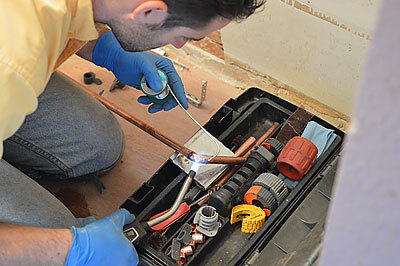 I look forward to working with Gladiator Rooter and Plumbing – even when it’s not an emergency! 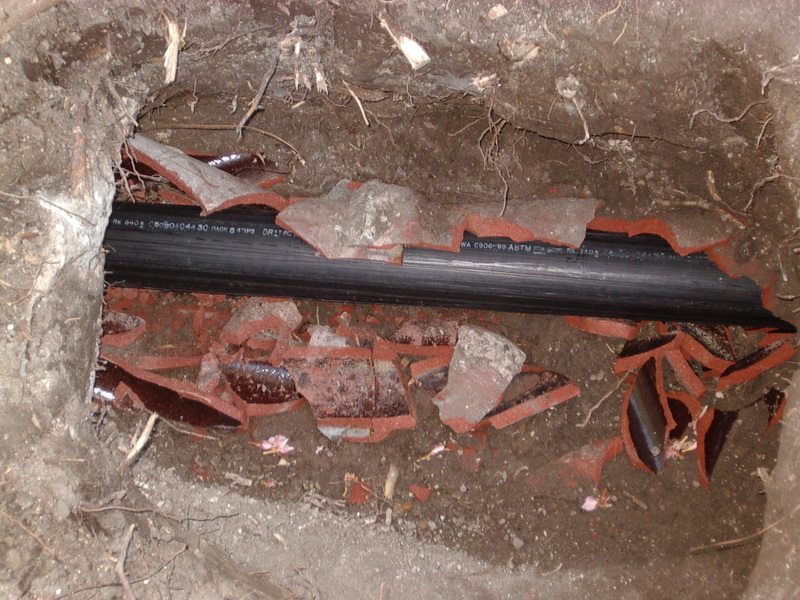 If you’ve only got a moment, or you’re not really interested in hearing my story of sewer lines and consternation, I’ll give you the spoiler – Gladiator Plumbing is Freeking Fantastic!Nobody wants to deal with a backed-up sewer line. It’s just not a fun thing, in any respect. It is, however, something that must be dealt with. I’ll spare the details, but a few weeks ago, in addition to the chores I was already attending to, I had to find a plumber, or a new place to live. I must have called half a dozen places, and nobody had time, or the equipment, or answered their phone. Out of desperation I called one of the Something-Something-Rooter places, and they agreed to send out a fellow, however, they couldn’t tell me what it would cost, only that the estimate was free and I would know by the end of it. Well, just inside of the 2 hour window the guy showed up. He was very nice, quoted me more than double what I would end up paying, and began the upsell on the Super-Agro-Complete-Flush-Water-Jet-Sewerline-Enema… for $600+ and wouldn’t be available to be done until the following week! He was very gracious and I could tell he wasn’t in love with that part of his job (or, likely, the sewer issue). I appreciated his coming, and evaluating, but time was of the essence.After he left, I continued searching Yelp and making calls, and dialed Gladiator. Pleasant reception on the phone, flat, reasonable hourly rate quoted, and a 2 hour window for response. Perfect, I thought, but it got better… Angel showed up within 30 minutes of the call, assessed and got to snaking. Super nice guy, and chatted with me, while I tried not to interrupt his work – I’m that guy that stands over people while they’re trying to get something done – especially if it involves tools, attempting to evolve my knowledge, but mostly chit-chatting. 20 minutes later, everything is flowing as it should, paid with credit card and received the invoice with a 30 day warranty. This same thing had happened a few years earlier and then been fine, so after a couple days I tossed the receipt – trying to reduce general clutter in my life, while invoking Murphy’s Law…Last night I returned home, and went down to the shop, where I was greeted by a familiar and unpleasant odor… again. Since my experience had been so good the last time, I gave Gladiator a call once more. It was after 7pm, so I was worried that it would be an after-hours and more expensive call – Not to worry, said the kind man on the phone. I’ll have someone out as soon as possible – same flat rate. I mentioned that they had come to do the same job recently.Cesar showed up in record time – maybe 20 minutes, in the rain, and got to work and cleared it equally fast. I was getting out my credit card when he said, it was under warranty. Free, at 8pm in the rain! While I did have to deal with this twice, I’m more inclined to believe that my 80 year old plumbing is experiencing some chronic malady than that the job wasn’t done right the first time.I highly recommend Gladiator Plumbing, and am glad to support a local, hard-working and responsive team. I wish every business were as efficient and congenial. My partner and I have used Gladiator plumbing for numerous jobs on our two apartment buildings, varying from replacing drainage pipes into walls under kitchen sinks to installing large new hot water heaters for an 11 unit building. Our dealings have normally been through Victor, who schedules the work, and with others such as Raul, Ishmael and Jose. 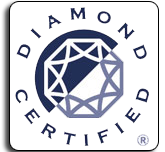 All of them have been professional, easy and fun to deal with -this extends to Jennifer who manages the office – and their prices have always been realistic. Emergencies get priority, and even lesser jobs normally get done on the same day. I recommend Gladiator highly, as they have been 100% consistent over many years. They are also creative in problem solving and think along. Five stars! Victor came through for us when we really needed it. We were about to close the sale of our house when our water heater flooded the basement. He trouble shooted the problem and started on the fix immediately even though it was a holiday since he knew we were in a time crunch. His price was very reasonable as well. If there was a sixth star I’d give it too him. My property manager contacted Gladiator Rooter and Plumbing to fix my leaky bath tub. The only problem was, no one knew where the water shutoff valve was! The two plumbers (one of whom was Ramon) looked all around the complex for the valve and had no luck. Thankfully a neighbor told us where to find the valve and within 30 minutes my tub was fixed. They had a smile on their faces the entire time. I really appreciate their dilligence, patience and most of all their work. My bath tub hasn’t leaked since! Thanks for the professionalism as well as the friendly, positive attitudes.